1) All ten campuses of the University of California system will become entirely smoke-free for at least the next two years, joining nearly 600 other anti-tobacco campuses nationwide. In addition to targeting cigarettes and cigars, the new policy will ban smokeless products in both indoor and outdoor spaces. 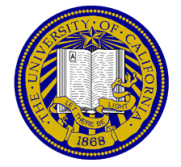 Mark G. Yudof, president of the University of California, said the move is intended to solidify the institution’s status as a “national leader in healthcare and environmental practices.” The LA Times reports the policy will be “educational…rather than punitive” and enforcement will be up to each campus. 2) Congratulations to Carl “Swede” Lindstrom of Illinois who won our “Win Cigars and Do Good” contest. Out of the many StogieGuys.com readers who contacted their representatives to encourage them to support legislation that would protect cigars from FDA regulation, his comment was randomly selected as the winner. So we’re rewarding him with a two-cigar “Blogger Edition” pack of the new Montecristo New York Connoisseur Edition (review here). Way to go, Carl! And thanks to all who participated for helping us stand up for cigar rights. 3) Inside the Industry: With its founder, Barry Stein, leaving to work for Miami Cigars, ACigarSmoker.com has been sold to Kevin Paige, owner of Butthead’s Tobacco Emporium in Dansbury, Connecticut. Viaje reports that its Oro and Plantino blends are becoming short-run cigars and the WLP (White Label Project) Stuffed Turkey will be returning for 2012. Cigar Aficionado deemed the Alec Bradley Prensado Churchill as the top smoke of 2011, but you can read our take on the Prensado blend here and here. 4) Around the Blogs: Stogie Review reviews the Arturo Fuente 858 Maduro. Cigar Inspector inspects the Tatuaje Barclay Rex 100th Anniversary. Cigar Brief lights up the Gran Habano STK Zulu Zulu. Nice Tight Ash checks out the Tatuaje L’Espirit de Verite 2009. Cigar Explorer fires up a La Flor Dominicana Factory Press IV. The Tiki Bar kicks back with El Tiante Habano Oscuro. 5) Deal of the Week: Here’s a sampler with four nice smokes from Room 101. Just $25 gets you two Room 101 Namakubis, a Room 101 Connecticut, and a Room 101 LTD Conjura. Just a reminder that even though the contest is finished, you should still contact your reps and senators if they haven't signed on to HR1639 (S1461 in the Senate). There have been no new cosponsors since before Xmas, so let's build pressure again. This legislation is vital. Click on the link above if you need help.